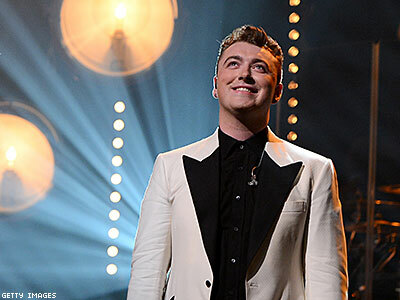 In a recent interview, out singer Sam Smith revealed he isn’t interested in becoming a spokesperson for the LGBT population. As a singer who came out publicly before the release of his debut album — which includes love songs written from the point of view of a gay man — Sam Smith is blazing a trail as an out gay singer currently enjoying massive mainstream success. However, that doesn’t mean the young superstar is interested in being a spokesperson for all queer people. Nevertheless, while the singer’s friends and family helped create an accepting environment for Smith, he revealed he was fearful of coming out publicly before the release of his debut album. “Equality is so far from where it should be, so I was worried,” he told Digital Spy. “I didn't give the public enough credit. We were really panicky about it, but then as soon as we did it, I am just so proud of how people haven't reacted. People really just don't give a s**t. The success in America is still happening even though I've talked about it. I feel like it's a step forward — we're in uncharted territory at the moment where you say it before an album and it's all natural and OK. It's great." Smith’s North American tour kicks off September 15 at the House of Blues in Boston.